Do you remember sitting in the kitchen while your mother or grandmother was cooking? I do, I can still smell my mom’s tortillas. Did your aunts or cousins gather to make special food that was part of your culture? I do, I can still hear my tia’s (aunts) laughter when they gathered to make tamales before Christmas. Was there an iconic landmark in your hometown? Mine was Bill Johnson’s Big Apple Restaurant in Phoenix. 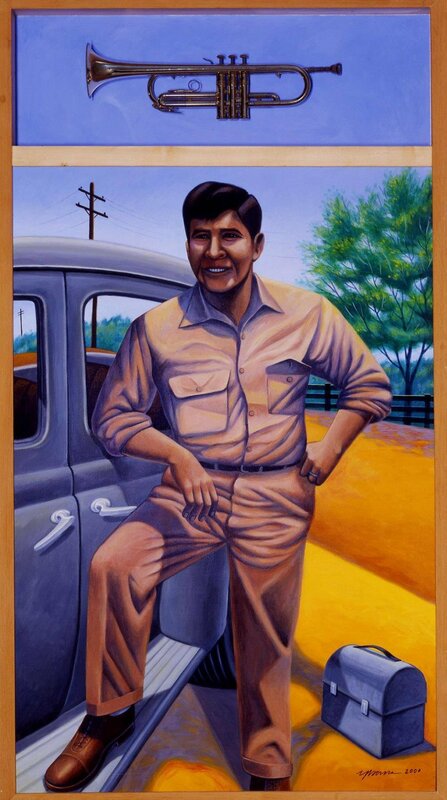 I am inspired to create art that captures fond memories of the people, history and cultures that define my home state of Arizona, as well as sharing work about my Mexican roots and my Phoenix suburban heritage. Please visit my website often. I will change the images from time to time, so that there will always be something new to see. Thank you for your support!